Five years ago, a small bank that almost no one had ever heard of launched an epic battle against three of the largest financial institutions in the world for their role in facilitating a crisis that began more than a thousand miles away. In 2012, Community Bank & Trust, of Sheboygan, WI, filed a class action suit against Bank of America, Citibank and JPMorgan Chase Bank for their part in widespread manipulation of the London Interbank Offered Rate, or LIBOR — the “benchmark” rate for tens of thousands of financial contracts including commercial loans, home loans, student debt, mortgages and municipal debt. The lawsuit claimed that small financial institutions like Community Bank & Trust lost $300-500 million a year because of LIBOR rigging, and that big banks were part of an ongoing criminal enterprise, and guilty of violating the Racketeer Influenced and Corrupt Organizations (RICO) Act. “The defendant banks, sophisticated investors who understand that LIBOR is a key metric, knew that manipulating [the rate] downward would directly and proximately harm the small community banks in which the defendants compete for loan business by artificially depressing the interest rate paid to community banks on loans held by those banks,” the complaint asserts. That litigation is still playing out in federal appeals court in New York. Meanwhile, financial institutions around the world have shelled out more than $9 billion in fines and settlements since then to settle litigation related to the LIBOR Scandal, and several bankers have faced criminal convictions. But LIBOR is now on its way out. On July 27, 2017, Andrew Bailey, chief executive of the U.K. Financial Conduct Authority (FCA), announced that LIBOR will officially be replaced as the key index for overnight loans, as lenders transition to alternative rates over the next four years. To understand what that means for BancAlliance members, many of whom are sharply focused on LIBOR since almost all of the network’s commercial loans are priced based on this benchmark rate, some insight into how a handful of bankers can reach across the nation and allegedly pick the pockets of a small-business lender in a lakeside community of less than 50,000 in Wisconsin is required. LIBOR is the average rate a group of 20 banks estimate they’d be able to borrow funds from each other in five different currencies across seven time periods, submitted by a panel of lenders every morning. U.S. banks began their gradual transition to the metric in the 1990s because — unlike the Prime Rate, which was widely used prior to that period — LIBOR changes daily and is (in theory) tagged to market conditions. LIBOR has been called the “most important number in the world” — and even though most community banks rely on Prime and constant maturity Treasuries for interest rate indices to set loan or deposit rates, LIBOR is still a critical index for community banks. According to an analysis conducted by Chris Nichols, Chief Strategy Officer at Centerstate Bank, the top 200 largest banks in the U.S. control the 82% of all loans in the banking system, with the largest ten banks controlling 43%. “All banks in the country are de facto following LIBOR because [they] are competing for loans and deposits with these largest 200 banks. This is why community banks’ cost of funding is approximately 95% correlated to LIBOR and why community bank loan yields are no more than 25bps above those set by larger banks,” he wrote, using data compiled by the FDIC. In the case of smaller commercial lenders, even minor fluctuations in the LIBOR rate can have significant consequences. By manipulating the floating rate, large banks with greater borrowing power and cash reserves can artificially suppress the index, squeezing returns for smaller institutions. 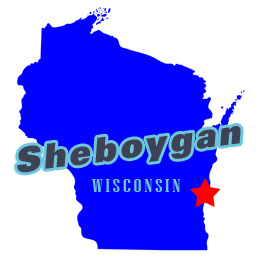 In its lawsuit, Community Bank & Trust offered one example of how that played out in Sheboygan. When the financial crisis hit, the bank had between $7-8 million in commercial loans pegged to floating rates tied to LIBOR. (Borrowers were obliged to pay interest at LIBOR plus a fixed amount, typically 100 to 300 basis points). If LIBOR rates were understated by just 80 basis points in 2008 (as was reported) Community Bank & Trust lost $64,000 that year in interest revenue. This summer the Fed’s Alternative Reference Rates Committee (ARRC) identified a broad Treasuries repo financing rate as its USD preferred LIBOR alternative. The new metric will be called the Secured Overnight Financing Rate (SOFR), and would include tri-party repo data from Bank of New York Mellon (BNYM) and cleared bilateral and GCF Repo data from the Depository Trust & Clearing Corporation (DTCC). (A “repo” transaction is the sale of a security, or a portfolio of securities, combined with an agreement to repurchase the security or portfolio on a specified future date at a prearranged price). The target publication time for the rate and two other related metrics proposed by the Fed would be each morning at 8:30 ET. The repo rates would only be revised on a same-day basis, and only if the updated data would result in a shift in the volume-weighted median by more than one basis point. The Fed said it believes SOFR “will best reflect the cost of short-term secured borrowing in highly liquid and robust markets,” and is planning to collect and tabulate the information that it will use to publish SOFR starting mid-2018. It’s too soon to tell what the transition to SOFR will look like, but several trade associations representing the financial industry have been closely monitoring the situation. The Independent Community Bankers of America (ICBA) – which in 2014 successfully lobbied to exempt banks with under $1.5 billion in assets from being charged a new annual fee for using the LIBOR rate – has an advocacy team in place to address any fallout from the changes on community banks. And, the Loan Syndications & Trading Association (LSTA) publishes regular updates on regulatory progress and what the new rates could mean for lenders. While protocols for making the transition have not yet been finalized, it’s not too early to begin preparing. According to LSTA, while most credit agreements already include customary fallback language if there is a temporary disruption to LIBOR, it would be prudent for parties to review their existing credit agreements to understand those provisions and what, if any, amendment flexibility exists to address a discontinuation of LIBOR. And as new agreements are drafted, parties may want to consider the ability to amend the agreement with less than 100% lender vote to avoid market disruption in the event LIBOR is permanently discontinued. Regulators are now seeking public comment on SOFR. Interested parties have until October 30, 2017 to review the rates and file comments. To make informed decisions, it behooves all community banks, even those that do not directly use LIBOR, to consider how the replacement metrics may impact their own interest rates. BancAlliance will be paying close attention to the LIBOR countdown and will provide information to our members as it becomes available. Visit https://www.federalreserve.gov/apps/foia/proposedregs.aspx to file a public comment.